Top names in French cooking, as well as foreign followers and hundreds of well-wishers, attended a memorial service Friday for Joel Robuchon, the world's most-starred Michelin chef who died earlier this month. France's cooking royalty, including Alain Ducasse, Michel Guerard, Guy Savoy and Andre Dutournier, attended in their chef's whites, along with cooks from across the world. "As far as I am concerned, he's the only French chef to have mastered soy sauce," Japanese chef Hirohisa Koyama told AFP. "In Japan, there is more and more demand for French food and it's the Robuchon effect." Robuchon's death at the age of 73 on August 6 from pancreatic cancer marked the passing of a second French superstar this year, following the demise of the "pope" Paul Bocuse in January whose funeral was also attended by the French culinary elite. Michelin-starred chef Alex Manes, head of Robuchon's Parisian restaurant L'Atelier, told AFP that the cathedral setting for Robuchon's memorial was appropriate for the "very religious" chef. The son of a bricklayer, who was hailed as one of four "chefs of the century" by the Gault & Millau industry bible in 1990, founded a string of restaurants that revolutionised fine dining across three continents. The two-hour ceremony on Friday featured a performance from opera singer Catherine Trottmann, as well as a eulogy by former prime minister Jean-Pierre Raffarin. 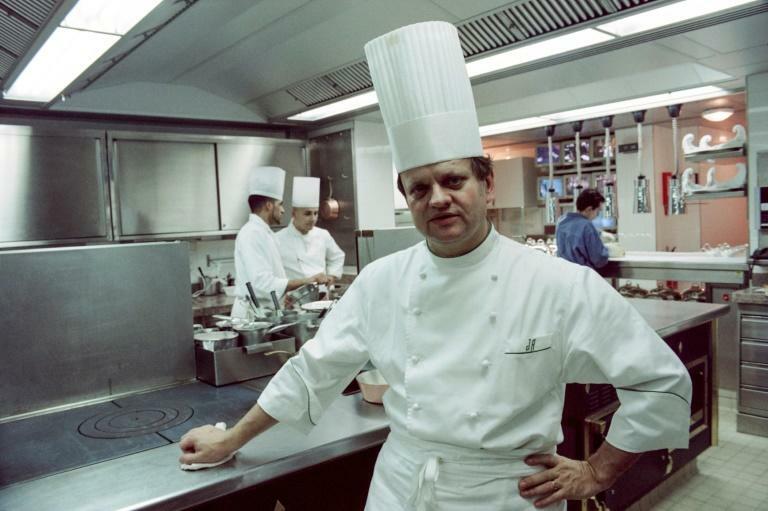 "Joel Robuchon was the essence of the great universal chef," said fellow chef Guerard. "He was also symbol of working with your hands, of artisanal work."